Growing up in West coast Canada, Jose started as a motion picture cameraman for NBC Universal but developed his passion for wines long before he got into filming. 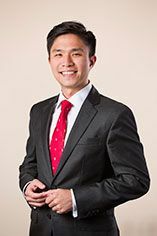 He obtained his WSET advance level certificate in Canada and moved back to Hong Kong in 2010 starting his wine career at a one of the leading wine distributor in Greater China, which developed his customer relationship with the trade channel. In November 2012 he joined Berry Bros. & Rudd. Jose spends his spare time in the cinema, on the beach, travelling, photographing and sipping his all-time favorite wine: Aged Rioja. Valiant’s motto is to do what you love to do. He loves wines therefore decided to go to Burgundy in 2011 so he could obtain a Master Degree in Wine Business. After that period of constant tasting, winery visits and sufficient study time, Valiant joined Berry Bros. & Rudd in the UK in year 2013. Most of his time was spent in the historical wine shop at 3 St. James’s Street, where he truly grasp the history and core values of Berry Bros. & Rudd. From his two memorable years in the London shop, his wine knowledge improved extensively from the classic regions to the lesser-known regions like Sherry, Greek and Jura … all crediting the daily opportunity of tasting numerous wines and the WSET Diploma course he took. Valiant has also developed a passion for craft beer and whisky during his time in London and decided to bring his passion and talents back to Berry Bros. & Rudd Hong Kong in June 2015. After studying business management and working in the Food & Beverage Management group, Serena began her wine journey when she joined Berry Bros. & Rudd in 2016. She continues to strive for the unknown and expand her vinous horizons. She has a particular interest in Red Burgundy and German Riesling, while her passion for wines from Alsace continues to grow. Apart from wine, Serena enjoys learning about architecture and interior design, exploring bars and restaurants, and practising yoga. 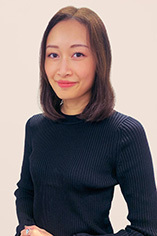 Fiona grew up in Hong Kong and furthered her studies in the UK. It was during her university years when she discovered her passion in wine and obtained her WSET Advance Level Certificate at the age of 19. After graduating from the University of Nottingham with Economics in 2014, Fiona returned to Hong Kong and started her wine career at a leading auction house. She then spent some time in Spain, and in the advertising industry, before returning to wine and joining Berry Bros. & Rudd. Fiona loves sharing and discussing wines with friends. It is most satisfying when she successfully brings a new member to the wine world. During weekends, you will most likely find Fiona reading or watching TV while cuddling with her cute pug. 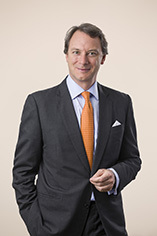 Nicholas Pegna joined Berry Bros. & Rudd’s Fine Wine Broking Department in 1998. 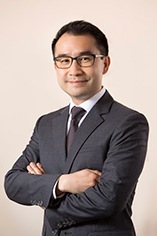 He became Director of Sales of Berry Bros. & Rudd’s business in Hong Kong at its inception in 1999 and was responsible for the establishment of this business, becoming its Managing Director in 2004. 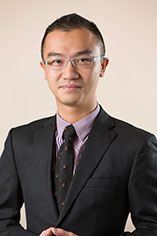 After a period running our Singapore business, he took up his new role overseeing our Asia business in April 2016. 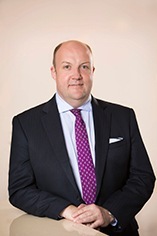 He joined the wine trade in 1993 and since that date has worked in several areas of the business including wine retailing, wholesaling and fine wine broking. As well as his responsibilities on the management front, Nicholas is also part of a small team which buys the new Bordeaux vintage every year for Berry Bros & Rudd globally. Nicholas was appointed Commandeur D'Honneur de L’Ordre du Bontemps, Medoc et Graves – Sauternes & Barsac, in June 2005 in Bordeaux and Chevalier de Tastevins in Burgundy in December 2006. Born and raised in Hong Kong, Jacky's palate was developed since he was young by his father who operated a Chinese tea shop. His father also encouraged and helped Jacky become a wine lover by introducing him to wine from Bordeaux top châteaux. 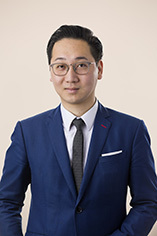 After getting his degree in Media and Cultural studies and working in Canada, China and Hong Kong, Jacky started his wine career with a local wine merchant in 2008 and joined another UK fine wine broker in 2011, where he has gained rewarding knowledge in fine wine trade and obtained his WSET advanced level certificate. Jacky then joined Berry Bros. & Rudd in June 2015. Jacky enjoys mostly wines from the old world and some of his favorite producers are Ponsot, Leroy, Comte Lafon, Quintarelli and Palmer. Beside the time he spent with his friends enjoying wine, Jacky is a huge football fan who enjoys swimming and wakeboarding on a sunny summer weekend. Coming from a French and Italian background, Luigi was quickly attracted by the world of fine wine and spirits. After graduating from Trinity College Dublin and completing an internship in our Wine School department, Luigi joined the Marketing team for Berry Bros. & Rudd Spirits in November 2010. Leading the global launch and commercial activation of our range of rums as well as the development of Berrys’ Own Selection Spirits, Luigi’s growing enthusiasm for the category led him to take on the role of ambassador while managing the company’s ever-expanding portfolio of brands. After four years in the Marketing team, two years managing our South East Asian markets, Luigi has accepted a new position in Hong-Kong as our Asia Regional Sales Manager. His focus will be on expanding our Spirits business and Wine agency footprint across the region. This new adventure pushes Luigi to travel and share his passion for spirits and wine all the way from Japan to Indonesia. Bordeaux born and raised into a family of winemakers and negociants, Edward's passion for wine started from a young age growing up on the family vineyard, Château Guiraud, 1st Classified Growth in Sauternes. Having worked in wine retail in Saint Emilion Edward came to Hong Kong in September 2014. After his experience with major players in the Hong Kong wine market, Edward joined Berry Brothers & Rudd to bring his Bordeaux and sales experience and passion for fine wines and history to the corporate sales team. It was during an exchange year at the Burgundy Business School in Dijon that Mayidili began her journey into the world of wine. She decided to stay on an extra two years and finish a masters degree in wine business, completing her internship at a family winery in the South of France. 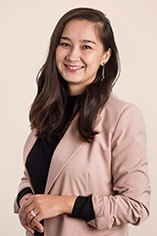 After which, the booming Asian market persuaded her to return to China, where she worked for four years as a senior marketing executive for one of the country’s leading importers. After finishing her WSET Advanced, in December 2014, she joined Berry Bros. & Rudd. She currently manages trade clients across Asia, bringing the company’s dynamic portfolio to an ever-expanding market. Although she has a special connection with Burgundy, her all-time favourite grape is Sangiovese, especially traditionally-made Brunello di Montalcino. Mayidili loves spending time with her family as well as watching films from her extensive collection of European cinema. Phebe’s background is in marketing and public relations, where she has over eight years of experience in the field. 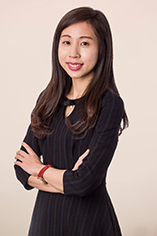 Originally from Hong Kong, she graduated with an economics major from the University of Wisconsin in Madison, before moving back to her hometown in 2011 to work for one of the leading wine distributors in Greater China. This is where her passion for wine developed and she completed the WSET Advanced level certificate. In 2013, she joined Berry Bros. & Rudd, where she leads and manages events for wine producers, trade and private customers while overseeing communications and marketing campaigns for the brand. 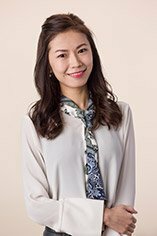 She now provides marketing support to the company’s Japan and Singapore offices and continues to improve her wine knowledge through tastings and working with experts. Having studied in a German town very close to the Alsace region, Jeslyn was exposed to fine wine early on. Her dorm was amidst the vineyards and she would go out with friends in wee hours, lying on the vineyard soil stargazing. But her passion in wine was largely latent until she saw an image of a vineyard in a hypnotherapy session years later. By then she has worked in Singapore and Shenzhen, with extensive sales experiences in one of the biggest French jewellery maisons following a successful career in luxury art publishing. The revelation drove her to look for opportunities in the world of wine. She joined a UK fine wine broker in 2017, where she has completed her WSET advanced level certificate. 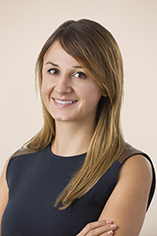 She joined Berry Bros. & Rudd in 2018. Jeslyn enjoys oil painting, ink wash painting, movies, and boardgames. Growing up in Chengdu in China, where it is famous for Panda, gourmet food and Chinese baijiu, Joey grew up appreciating family members gathering for food and spirit. Joey lived in Montreal and Vancouver for seven years, with an exchange student opportunity to experience school life in Europe for one semester. 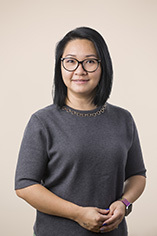 Graduating from University of British Columbia in Canada with Commerce degree, and after briefly working in Canada, Joey moved to Hong Kong in 2007 to begin her wine career with a wine trading firm. This is where she discovered her passion in wine and an amazing learning journey for her to improve wine knowledge on a daily basis. She is now a candidate for the WSET Diploma and she would like to continue pursuing her wine study to the next level. Joey believes that wine is for sharing and it is a magic force to gather people with different background together. She really treasures the fact that wine allows her to meet interesting clients who eventually turn into good friends, which is one of the key reasons why she have been working in the wine industry for the past 5 years. Besides wine, Joey’s interests are to travel the world with her camera to capture the beautiful nature and to experience the gourmet food. She has been to 21 countries so far and looking forward to explore more. 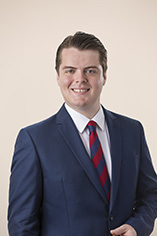 Joey joined Berry Bros. & Rudd in March 2015. Although coming from the spirit-focused country of Poland, Joanna’s family has nurtured a long-standing appreciation of wine – an interested passed down from her grandfather’s generation to her parents who invested in winery in Sardinia. Outside of Berry Bros. & Rudd, Joanna’s interests include cooking, travelling, good music and quality bubbles. And she’ll never say no to a good glass of Californian Pinot Noir. Melody’s passion for wine began after her studies, while she decided to explore her interest in wine in Burgundy. Through her experience in wine harvest and vinification at a top estate vineyard, she fell in love with wine and started her career in the wine industry. She was crucial to the Sales and Business Development of a leading local and international of wine trading company in Hong Kong, and grew her experience on-trade over the ten years she worked there. Melody have great passion and knowledge for wines, and especially in wine and food matching as it brings her closer to understanding her customer needs. At a time when the bottle of wine at the family dinner table would most likely be a Liebfraumilch or Mateus Rosé, it was David’s language studies, and work as an English teacher, which led him to the wine regions of France and Germany and awakened his passion for wines of a finer kind. 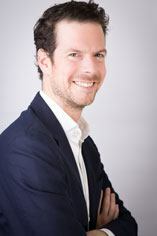 David’s career with Berry Bros. & Rudd started in 2002, and has so far included spells in our Fine Wine teams in the UK and Tokyo and, most recently, a move to work in our Hong Kong office. David strongly believes that good wines are best appreciated with food, and his favourite wines are those of the classic regions of Europe, in particular Burgundy and Alsace, which have always been traditionally made to be enjoyed in this way. When not advising Berry Bros. & Rudd’s clients on a must-have Volnay or Riesling, David is most likely to be found indulging his other passions on the golf course or in the kitchen. Molly’s interest in wine was sparked by her father, which urged her to explore her interest in the world of wine. In between her time attending the exchange program in the University at Buffalo and her Marketing and Public Relations course at Hong Kong Polytechnic University, Molly joined a Discover Wine Tasting Fundamentals and Introductory Course to understand the basis of wine. 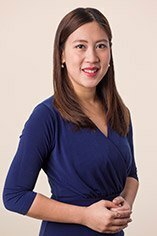 After graduation, she immediately began her wine career by joining Berry Bros. & Rudd Hong Kong and look forward to broadening her knowledge in both marketing and wine field. 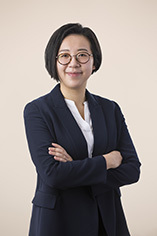 She now provides marketing and wine education support for the Hong Kong office. Her particular favorite wines are the famed Ch. Mouton-Rothschild and Pinot Noirs from Côte d'Or. Molly loves to enjoy wines with family and friends. She is also passionate about digital marketing, promotional content, print advertising strategies, photography, video editing, design and online marketing.